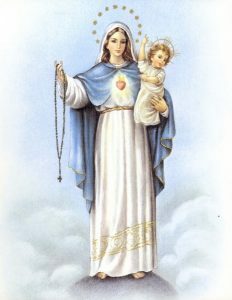 The Most Holy Rosary of the Blessed Virgin Mary is prayed each day before the 8:00 AM and 12:10 PM Masses. 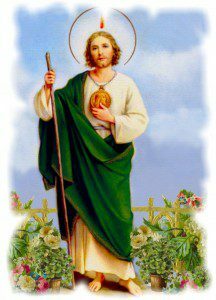 In addition, novena prayers in honor of Saint Jude Thaddeus are recited daily before the 8:00 AM and 12:10 PM Masses. Veneration of the relic of Saint Jude Thaddeus is offered to the faithful each Friday following the 8:00 AM and 12:10 PM Masses. Each day, the Dominican Fathers offer Masses for the intentions of our benefactors and for the intentions of all who have been recommended to The Rosary Shrine of Saint Jude for prayer. Dominican Fathers and Brothers throughout the Province of Saint Joseph offer prayers for our benefactors each day as well. The recently ordained Fr. Luke Hoyt, O.P. gives an introduction to the Rosary Shrine of Saint Jude. Add your intentions to our upcoming Novena of Masses at the Shrine.